The dining room is one of the most important spaces in one’s home. 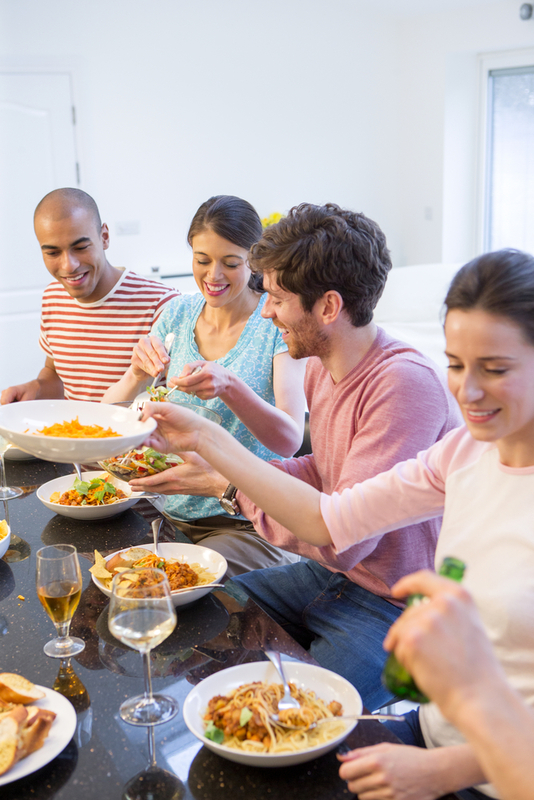 Here, friends and family come together to enjoy a home cooked meal and catch up on the day’s events. So, before your guests arrive, put your best foot forward and shop Crate & Barrel’s gorgeous dining collection, now 15% off. What’s better that finding new home furnishings? How about snagging a great deal on some gorgeous discount furniture for the best room in the house: your dining room! Now through Sunday, Crate & Barrel is offering an exclusive 15% off select dining room pieces including chairs, tables, and sideboards. They offer furniture in all shapes, colors, sizes, and textures, so you’re sure to find the perfect match. For instance, check out this sleek Curran chair, upholstered in rich synthetic leather and available in 6 on-trend colors. Are you looking for something a little more rustic? Try this Fiji model, hand-worked with real lampakanay rope! This deal ends Sunday, so visit your nearest Crate & Barrel today. To browse their entire dining room collection, visit the furniture store online.